Orange & black flames on sides & hood. 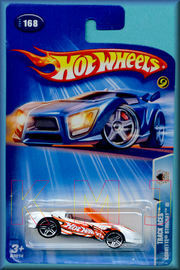 Large orange, black & white Hot Wheels logo on sides. "Racing" & "10" on hood. Small Hot Wheels logo on hood.